If you'd like to find out more about our expert team here at Terence Barker, call 01440 712 905. Fuel Storage for over 50 Years! We started out over 50 years ago as a premier Bunded above ground fuel storage tank and service partner. We also manufacture and service tanks for other liquid storage, such as water, ethanol, oil, glycol, latex etc. We serve the commercial and industrial sectors throughout the UK, with a strong reputation for our high levels of quality and service. 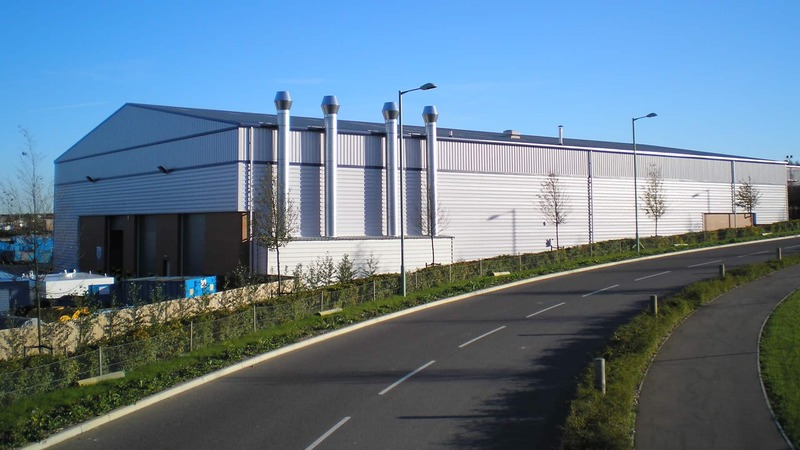 Operating from our extensive plant, we currently manufacture a wide range of storage tanks and equipment including bunded diesel storage tanks, bunded waste oil tanks, heating oil tanks, domestic heating oil tanks and above ground fuel storage tanks. 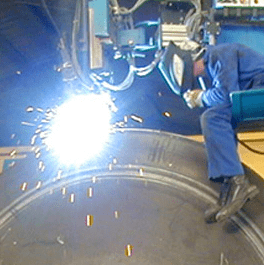 Everything we manufacture is made from steel or stainless steel to British Standards, SI 2954 and Oil storage regulations . We're the preferred manufacturer for a broad range of international clients, ranging through industries as diverse as construction and demolition, transport, petrol forecourts and waste management.We are happy to design and construct bespoke tanks of any dimensions or capacity to solve your liquid or fuel storage problem - all cost effectively! Enclosed Bunded Fuel Storage Units constructed to current BS799 Part 5 Type J & K; OFTEC T200; PPG2 & SI 2954 The Control of Pollution (Oil Storage) Regulations 2001. Above Ground Fuel Storage Tanks. The ConVault tank, reinforced concrete armoured fuel storage tanks suitable for petroleum based products built to UL2085. Modular Fuel Station incorporating the ConVault Fuel Tank. Above ground petrol storage tank, designed for delivery and dispensing; gauging and failsafe shut-off systems; approved by the authorities and in use for Sainsbury's. Vertical and Horizontal Cylindrical Storage Tanks for above or below ground use to BS EN 12285 – 1:2003 & 2:2005. A complete range of Fuel Pumps for our equipment to suit most needs. Maintenance Division to provide a full on-site servicing facility. Installation, Decommissioning & Remedial Works available across the UK by OFTEC registered engineers. Bunded Fuel Storage Hire Fleet. A wide range of bunded oil tanks for fuel storage. Distribution throughout the United Kingdom is available. Sub-Contract work for our CAD/CAM machines such as the Plasma Cutter. In-line with our policy of continuous improvement, we've successfully implemented ISO 9001 Quality Assurance System and are continually reviewing our products and our processes to ensure we offer our customers the best available product and service cost effectively across our full range of fuel tanks. If you have a liquid, powder, chemical, fuel or oil storage tank requirement, Terence Barker have more than likely manufactured a similar solution in the past, so call us today on 01440 712 905. We take great care to ensure that all our tanks are manufactured to comply with the relevant legislation and industry body guidelines.